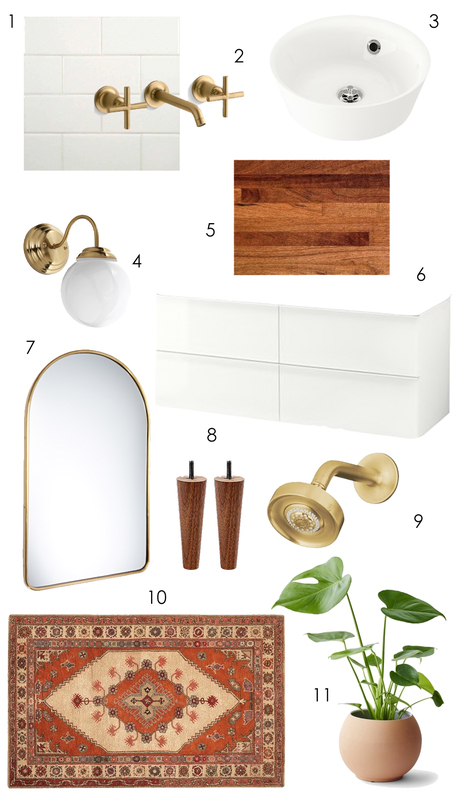 New year, new projects for our little abode and we are especially excited about this one! Living in Austin means spending lots of time outdoors…so creating an inviting patio space is number one on our renovation list in 2018 – just in time for spring. Though the weather is freezing this week, Blake and I are daydreaming about warm, sunny days where we can leave the back doors wide open and Watson can run to and from the house…while we sip a cold beer and read a good book…can you tell we are SO ready for this?! 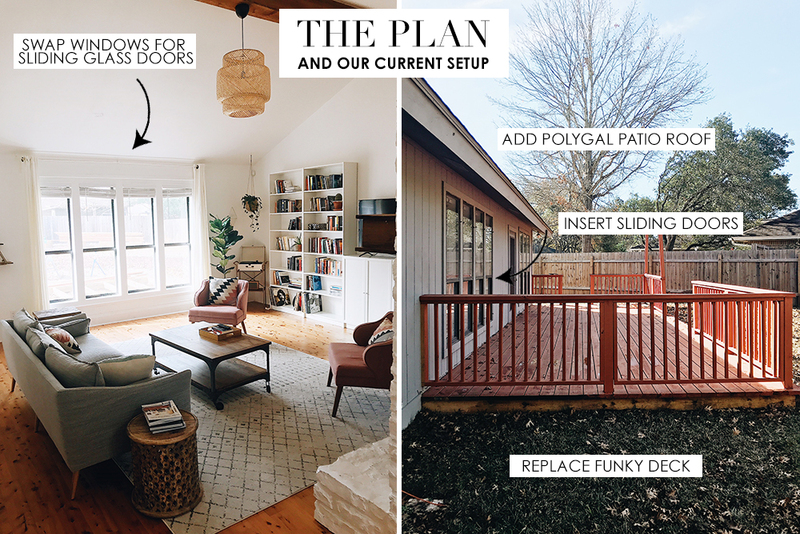 We have a wonderful contractor team making our dream patio renovation come to life (I’ll share more about who we are working with in the before/after reveal post) and it’s been so fun to scour Pinterest (and Google Images) to help visually explain the look we’re going for (…as seen above!). Our reno plans are moving along and it should all be completed in about a month…can’t wait to share more as we make some progress! 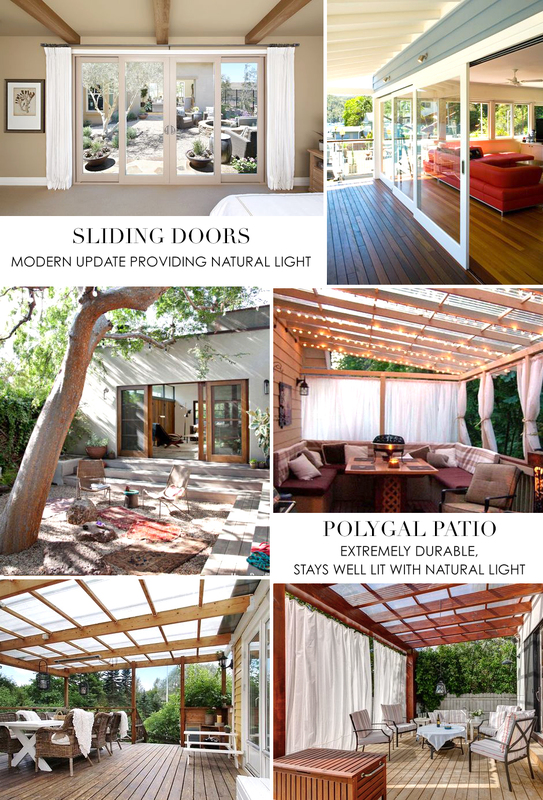 -Polygal patio cover: you see the clear or opaque plastic panes on the patio images above? That’s called Polygal and it’s extremely durable, weatherproof, and provides solid coverage from rain but also allows for plenty of natural light to filter through. Given that I take photos of our interiors often (…and the fact that we both LOVE natural light pouring into our home), we opted for the modern look of a polygal patio that also catered to our need to keep the house well lit but also give us solid coverage while outside. While I LOVE the look of a full covered patio where the roof is extended, it simply didn’t make sense for us to compromise natural light inside the house. 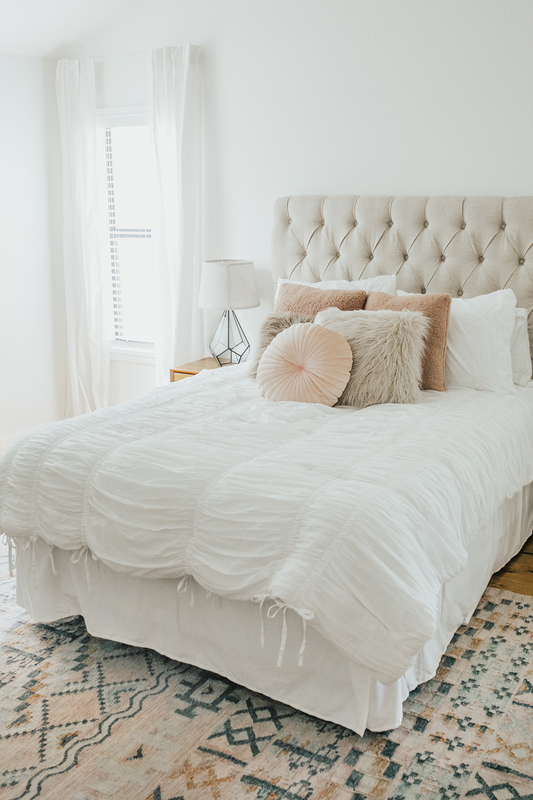 Can’t wait to add a couple of ceiling fans and some adorable strand lights to make it feel extra cozy! -Composite decking: our old deck setup was just two years old when we moved into this house, but the color was super funky (you can see an image below) and the wood began to warp in multiple places. Since we want this new deck to last a very long time and be as durable as possible, we went with a composite decking option – which looks like wood (however, it’s not actual wood) and lasts up to three times longer than a wooden deck. (You can learn more about composite decking options here). 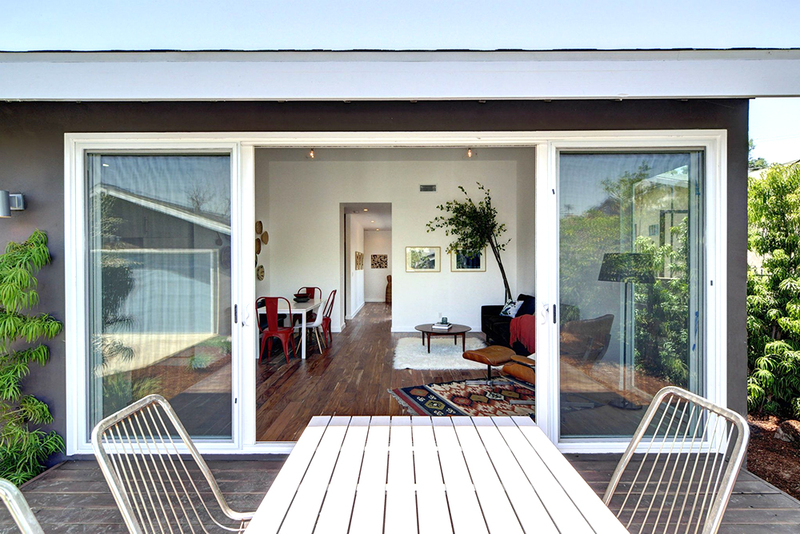 -Sliding doors: this was actually a recent addition to the renovation but we are SO excited about it! Our house was built in the 80s and the layout is funky (we like to say it has “character” haha), but our back door is actually in a random bedroom instead of in our family room (…which would make a lot more sense). Thus, on the subject of natural light, we decided to remove some window panels and have some big sliding doors installed – and also remove the back door from the random room. This will allow for plenty of natural light to remain in our family room, while also adding the covered patio element in the backyard. Plus, Blake and I both love the idea of opening up the big doors and making the house and backyard feel like one big space. …Our hope is that the end goal vibe will be something like this…LOVE how open and airy it looks/feels! Amazing! So necessary in Austin! What areas/neighborhoods did y’all look in Austin? We are currently looking for our first home and are overwhelmed with all the options! Good luck on your project! Ahhh, your ideas sound/look amazing! Can’t wait to see the finished product. We are still renting our place for another year or two, but all your redecorating and renovations make me so excited to actually buy a house. LOVE these plans! We are in the midst of patio/deck planning as well and I had never heard of Polygal before reading this. It’s going to look SO good! This would be awesome! Cannot wait to see how it turns out! Hi! This outdoor space is amazing, just curious, where do you purchase polygal? my online search hasn’t really helped with retailers so thought I could get an idea from you! Thanks and again, it looks fantastic! What are the dimensions of your deck? Would you say you have adequate space to ‘hang out’? Which model of polygal did you use for this project ? It’s beautiful!